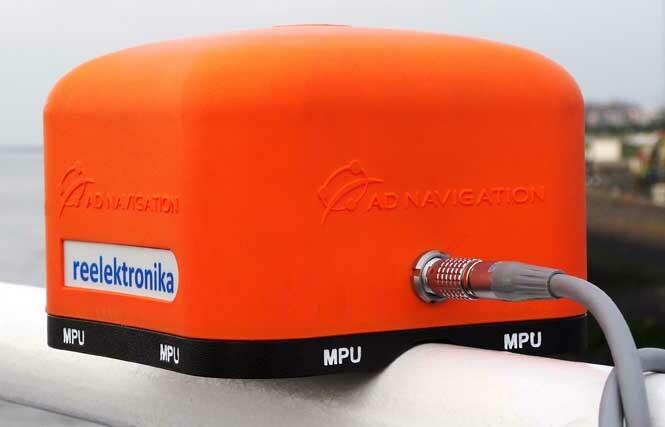 The Dutch Pilots Corporation and Reelektronika announced today (January 7, 2014) the successful development and test of an Enhanced Differential Loran (eDLoran) backup to GNSS in The Netherlands. Trials at sea and in the Rotterdam Europort harbor area met the requirement for absolute accuracies in the five-meter range, according to Durk van Willigen, CEO of Reelektronika, and Wim van Buuren, Loodswezen’s information & communications technology (ICT) and innovation manager and board member. The cooperating organizations have implemented a complete test system, which includes an eDLoran reference station and the eDLoran receiver for the pilots. This small and lightweight receiver can operate in tandem wirelessly with the standard software of the pilot’s GPS-RTK equipment. Differential eLoran data are available in real-time via the mobile telephone network. No modifications of the existing Loran transmitters was required. 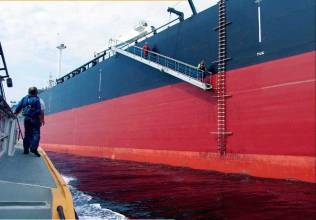 For this joint project, the Dutch Pilots’ Corporation made facilities available on board their pilot station vessel Polaris and for the location of an eDLoran reference station. Reelektronika performed the research on eDLoran, and developed the equipment for the pilots and the low-cost reference station. The position corrections (Additional Secondary Factors, ASF) database will automatically be expanded and refined by any new trip the pilots make, using GPS-RTK and Loran data they collect during maritime operations. The effects on eLoran transmissions of any new industrial installations and buildings in the harbor area are thus adaptively incorporated into the database. This nearly continuously upgrading of the eLoran ASF database does not require any special measuring equipment or procedures, according to the organizations.